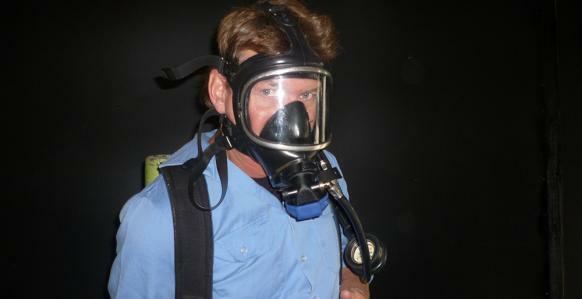 Interpret any permits or other documentation associated with the wearing of breathing apparatus for the job. Writing is required to the level of completing required workplace reports. Numeracy is required to enable the determination of the available working time from a breathing apparatus set and similar activities. Those that suffer from claustrophobia may find it difficult to wear Breathing Apparatus and fulfil the requirements of the course. If all requirements cannot be achieved a Statement of Attainment cannot be issued. In line with Australian Standards, PARCOR can still train participants with facial hair, but the training and notes will ensure that participants understand that facial seal requirements must be met before entry into any hazardous area. For additional Participant Responsibilities, please refer to the participant handbook. Face to Face training will be conducted over a period of 6 hours including both theory and practical components. Training can be conducted both on or offsite site provided a training room and practical area are available for use. PARCOR also conducts regular training sessions at our Head Office in Lara (20km from Geelong CBD or 60km from Melbourne CBD). See Public Courses for further information and dates. The industry regards reassessment on a two-year cycle as good practice.